My 5.4L 2004 F-150 has 127K miles and never had the spark plugs changed. I bought it this way at 123K knowing that I'd need to do the job and just got around to it. Followed youtube tutorials, used the Lisle tool (3 broken plugs, two of them being in the cylinders which are now misfiring) and thought while the job was a pain it wasnt TOO bad with the right tools. 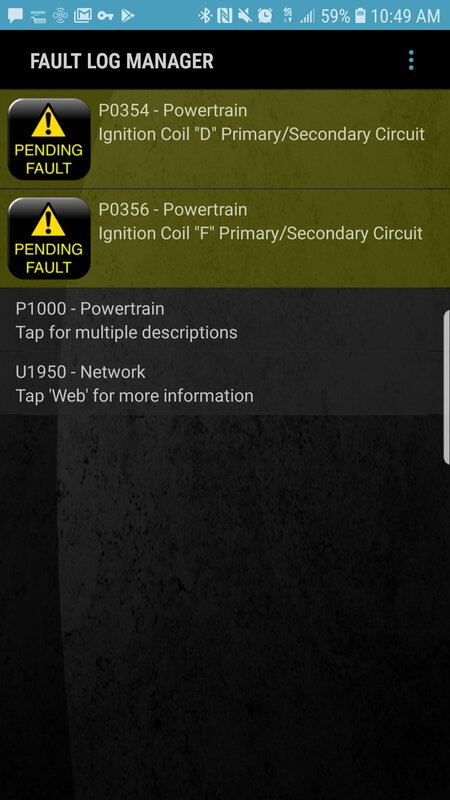 During startup I noticed the truck was rumbling pretty bad and ran my OBD2 Tester which came back with three codes (Torque screenshot attached): P0354 and P0356 - Ignition Coil "D" and "F" Primary/Secondary Circuit in addition to U1950 - Network which wasn;t there prior to the spark plug job. Since this I've 1) soldered new connectors to the COPs: no change and 2) changed out the COPs: no change. My next step now is to replace the spark plugs (SP546s were used) and see if that's the issue but the unusual part is that right after I took steps 1 and 2 above, the rumble was slight and the only code that would show up was the p0354, after I drove the truck a bit more, only then would the rumble and lurching get worse and then p0356 would show up again. My question is this: is it common for misfires or cop failure after changing out the spark plug? Additionally I need this truck to get to and from work everyday so I'm trying to go gentle on it with the misfire but are there any steps I should take to avoid damage while driving in the mean time? Please help! Did you torque plugs correctly ? Did you crack a plug during installation ? Did you replace the boots and springs ? Did you use any Dielectric grease or anti seize ? Did you clean the COP contacts ? Check the wiring next to the computer and the A/C lines this is a know problem area for wires chaffing against the A/C causing the codes you have and check the rest of the wiring as well. If you unplugged the computer to do the spark plug change double check to make sure the connectors are fully seated. Keep in mind that P035x codes are electrical faults and the plug CAN'T fire for some reason. The smart little PCM can tell the difference. If the plug fires, it gets a big reverse EMF kick and knows it fired. The P030x series is reported because PCM failed to see the 'expected' boost in crankshaft rotational Acceleration. It is a great diagnosis difference. So.. a bad boot or spring not allowing the spark to fire the plug ? Ah, so changing out the spark plug wouldn't make a difference with this specific code correct? The first thing I can think of is that locking tab of the harness plug on the far right side of the pcm doesn't "click" into place like the other two due to age. I'm guessing if it wasn't seated I'd be having a lot more problems than just a misfire though if that was the case. Ford has issued a technical service bulletin (TSB) 04-21-10 to address problems with a P0354 misfire on cylinder 4 Ford F150. The problem has been linked to 2004 F-150 models and has been traced to the A/C line coming in contact with the wiring to #4 ignition coil. If the harness is coming into contact with the A/C lines, here’s the fix. Disconnect the battery and then reroute the main harness. Remove the two harness connectors on the right hand side of the engine. Then inspect the wires for ignition coil #4 for damage. Fix any frayed or chafed wires. Then move the entire harness away from the A/C line. I may have stated my point TOO emphatically. Never say Never. It would be slightly over rigid to say your specific code could not be the spark plug. If the plug 'tip' is melted completely off, or gap is 200 thousandths, or COP spring is corroded too badly to carry current or unlikely event of OPEN secondary windings: ---- PCM would see that there is current in the primary circuit to cause the expanding magnetic field through COP windings (passes 1st test), BUT when current is stopped, the magnetic field collapsing through the secondary windings would produce no Spark. Without the spark (arc burn) there is no current in the secondary and thus no reverse Kick in the primary. (This reverse voltage spike is quiet sugnificant) It's absence equates to circuit failure in the secondary [ P035x - primary/secondary circuit failure]. If the PCM passes these tests, it expects to see a bump in crankshaft rotational speed. 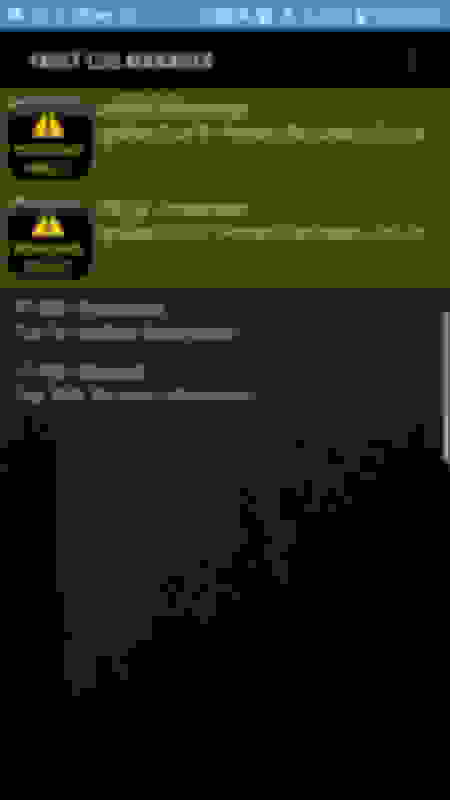 If that's missing then P030x. Believe it or not, the processor is that fast and sophisticated. I’m hung up on the 2 broken off plugs being IN the cylinders that are now misfiring. I interpret this to mean that pieces broke off the plug into the cylinders and possibly never retrieved. Accurate or no? I could've been clearer about that; no, all the pieces were accounted for barring any tiny porcelain crumbs which from what I read don't cause an issue and definitely not one I can hear. I'm going to look into following my wire harnesses and see if I can find any lines grounding out on the AC line.